Last time, I began to answer a question from a reader named Nancy regarding which type of mortgage is better for the pastor housing allowance – a 15-year mortgage or a 30-year mortgage? Today we’ll do some basic housing allowance calculations to see how a 15-year mortgage would compare with a 30-year mortgage. For the sake of discussion, let’s assume that you’re taking out a mortgage loan in the amount of $100,000. As you can see from the chart below, with today’s historic low mortgage interest rates (as of February, 2012), you could get a 15-year loan at 3% with a monthly payment (principal and interest) of $690.58 or a 30-year loan at 3.75% with a monthly payment (principal and interest) of $463.12. Over the course of the 30-year loan, you’ll pay $66,721.61 in interest, and with the 15-year loan you’ll pay only $24,304.70 – a savings of $42,416.91 in interest! Next, let’s figure out how your mortgage payments will factor into your housing allowance exemption. It’s easy enough to calculate – just take the total cost of the house (including principal and interest) and divide it by the term (15 or 30 years) to get your annual mortgage cost. From the chart, you’ll see that the cost per year (including principal and interest) on the 15-year mortgage is $8,286.96 over the 15-year term, while the 30 year mortgage it is $5,557.44 per year over 30 years. This means that the 15-year mortgage will save you $42,416.91 in interest and enable you to build equity much faster than the 30-year mortgage. That savings is guaranteed! But with the 30-year mortgage, while you’ll pay that extra $42,416.91 in interest, you’ll have the possibility of taking a greater mortgage interest deduction on your taxes and also reduce your taxable income by claiming the housing allowance for the additional 15 years. I recommend that you first take some time, if you haven’t done so already, to determine your short-term and long-term money goals. To have a smaller monthly payment even if it means you’re paying for 30 years instead of 15 years? 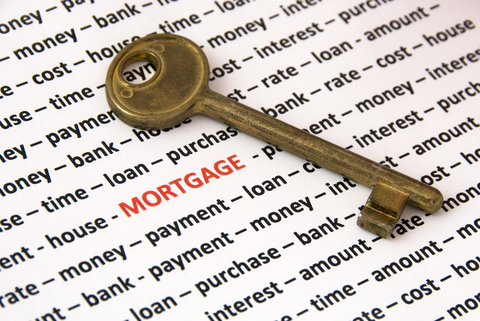 To build equity faster and pay off your home loan as soon as possible? Let’s say your church declared a housing allowance of $20,000 for you, your actual housing expenses (including mortgage principal and interest, utilities, furnishings, taxes, insurance, etc.) were $17,000 and the fair rental value of your fully-furnished house plus utilities was $1,200 a month, or $14,400 for the year. In this scenario, you’d only be allowed to claim $14,400 as your housing allowance exemption because it is the lowest amount. To figure out how much the housing allowance exemption would benefit your particular tax situation, you can ask your tax preparer or use tax software and play around with different scenarios. I like to do this when I’m preparing my taxes. First, calculate your taxes for the way things are today. Next, change some of the numbers a bit and see what happens. Change your income numbers, your housing allowance exemption amount, etc. and see if you can figure out where a significant difference starts to happen. Find out how low your housing allowance could go before your taxes would begin to increase. Then pretend you took out the 15-yr loan and it is now paid off. What do your taxes look like then compared to if you were still paying for a total of 30 years? Since taking office, President Obama has said he’d like to eliminate the mortgage interest deduction. Others are advocating a flat tax which would greatly simplify the tax code but, depending on whose plan you look at, may eliminate the mortgage interest deduction. What happens is anyone’s guess, but it might be wise to plan on the deduction going away. The clergy housing allowance has been around for over 60 years. But that doesn’t mean its existence is a sure thing. An athiest group, the Freedom from Religion Foundation, is working to abolish the housing allowance exemption. At the same time, a Christian group, the Evangelical Council for Financial Accountability, is working to clarify and perhaps limit the clergy housing allowance. So my personal view is that pastors should take advantage of the housing allowance exemption but not bank on it. In other words, don’t buy a bigger house or prolong your mortgage payments to take advantage of it. Because it could disappear at any time and leave you in a financial lurch if you’re not prepared. What Happens When Your House is Paid off? Can you still claim a housing allowance exemption if your house is paid off? The answer is yes, and in my next post I’ll share some strategies you can use, even when your home is paid off, to claim a housing allowance exemption.